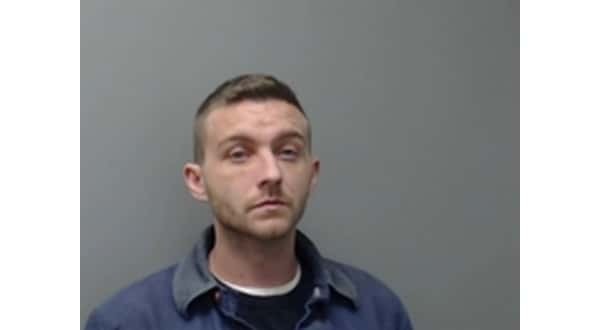 A man who has been on the run for some time is back in custody and facing criminal charges in Baxter and Stone counties, according to electronic court records.Thirty-two-year-old Corey Thomas Ensign, who has listed addresses in Mountain Home and a town in Kentucky, entered a not guilty plea to the charges against him in Baxter county during a session of County Circuit Court Thursday. In one Baxter County case, Ensign is charged with domestic battery, possession of drugs and drug paraphernalia and endangering the welfare of a minor. He was arrested May 20th last year when Mountain Home police answered a violent domestic altercation call at a local apartment complex. Witnesses alleged Ensign had tried to punch a female victim in the face while she was holding a baby. Ensign was found hiding in the bathroom of the apartment. He admitted to police he had a smoking pipe used to ingest drugs and a small black bag containing two cut straws and a plastic bag containing a white crystalline substance field testing positive for methamphetamine. In addition, Ensign faces charges in a case originally set up in June last year. He is accused of accompanying William Kennerly of Mountain Home to El Dorado to purchase a substantial quantity of methamphetamine to sell in Baxter County. Ensign and Kennerly met with an unidentified woman who told them she would assist in arranging the deal. The two men went to a motel room in El Dorado and waited there with several unnamed individuals until a delivery of methamphetamine was made. According to the probable cause affidavit, Kennerly and Ensign spent more than an hour packaging and preparing the drug for the trip back to Mountain Home and were heard making complimentary remarks on the quality of the drug. Somewhere on the return journey, an expensive recording device belonging to the 14th Judicial District Drug Task Force was deactivated and discarded. Ensign was said to be cooperating with the task force at the time of the drug run to South Arkansas, but the decision was made to file charges against him after he is alleged to have told Kennerly about the effort to arrest him. The pair returned to Mountain Home without any methamphetamine. A search warrant was served on Kennerly's residence. According to court records, Kennerly admitted he and Ensign had made the trip to El Dorado to purchase three-quarters of a pound of methamphetamine to be offered for sale in Baxter County. Kennerly said the pair had made the same trip on previous occasions. He said on the most recent trip, they became nervous and returned without the drug. Investigators believe this is because Ensign divulged his role as an informant to Kennerly. In August last year, Kennerly was sentenced to 18 years in prison on charges stemming from the drug run with Ensign and charges in other cases, including exposing a then 10-month-old child to methamphetamine. In Stone County, Ensign faces serious drug and weapons charges stemming from a traffic stop in mid-January last year when he was alleged to have been in possession of 40 grams of methamphetamine, a number of Xanax pills, marijuana and a 9-millimeter pistol. An Arkansas State Police trooper initially pulled Ensign's vehicle over on a seat belt violation. Ensign and his female companion were alleged to have told police they had purchased drugs in Little Rock and were on their way to Mountain Home to sell them. Ensign's female companion, 22-year-old Nicole Michelle Jenner, who also listed a Mountain Home address, faced felony drug charges stemming from the traffic stop. She was sentence to five years probation in Stone County on May 24th last year. The charge of simultaneous possession of drugs and weapons filed against Ensign is a Class Y felony, punishable by 10-40 years in prison or life without the possibility of parole and/or a fine of up to $25,000. When Ensign did not show up for scheduled court appearances in both Baxter and Stone counties, failure to appear warrants were issued. Court records show the warrant in Stone County was issued in January last year and the Baxter County warrant was issued in October 2018. Ensign was picked up and booked into the Stone County jail on Jan. 17th. He has apparently been living in Kentucky and did list a Kentucky address on the jail log of the Baxter County Sheriff'sOffice when he was brought here from Stone County for his Thursday court appearance.